Quakers are making their annual nominations for the Nobel peace prize. Quakers can make a nomination to the Oslo Committee that awards the prize because they were awarded the prize themselves in 1947. The formal nomination is made by the American Friends Service Committee and British Friends are encouraged to join in the process by writing to the Quaker Peace & Social Witness representative to the AFSC Nobel peace prize nominating committee. As former recipients of the Nobel peace prize, Quakers are privileged to be able to submit an annual nomination to the Oslo Committee. For Friends in BYM nominations can be made via the current QPSW representative to the American Friends Service (AFSC) Nobel peace prize nominating committee, Alan Quilley. In setting up the prize, Alfred Nobel specified that it should go “to the person who shall have done the most or the best work for fraternity between nations, for the abolition or reduction of standing armies and for the holding and promotion of peace congresses.” The prize is often awarded to organisations instead of to an individual. The AFSC considers matters such as the candidate’s commitment to nonviolent methods, the quality of the candidate as a person and of her/his sustained contribution to peace, their work on issues of peace, justice, human dignity, and the integrity of the environment and the candidate’s possession of a world view and/or global impact as opposed to a parochial concern. 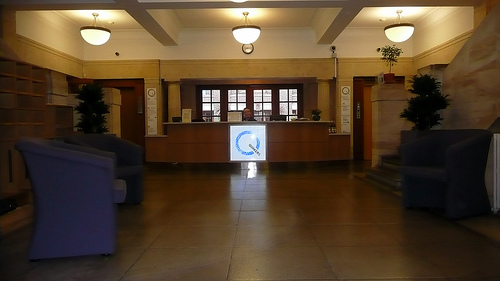 Any Quakers or Quaker meetings considering a submission are to be reminded that the process is confidential and therefore any names being considered should also be held confidentially. To learn more about how Quakers can make a nomination for the Nobel peace prize visit http://www.quaker.org.uk/call-notice-nominations-nobel-peace-prize.